What conservative treatments are available for me? What outcome should I expect? What is your experience with traditional osteoarthritis knee braces? Have you heard of the Agilium Freestep device that treats knee osteoarthritis at the foot? Am I a candidate for the newest technology of the Agilium Freestep? If I have surgery, how long will the recovery take? If I have surgery, how long will the knee replacement last? What are my risks for surgery? And what are my downsides to delaying surgery? While conservative treatment plans are significantly less expensive than surgical intervention, these treatments don’t come without some cost. Make sure you understand all aspects of your treatment plan including co-pays and insurance deductibles. How much is the initial treatment? How often do I need treatment? While under a physician’s care, how often will I need to return to the physician’s office? 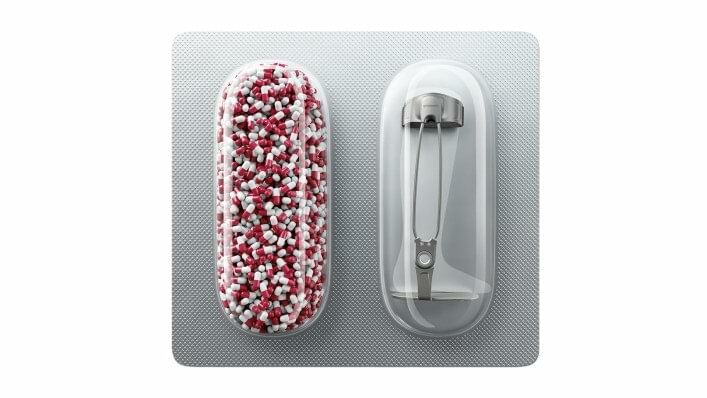 The Agilium Freestep is a low cost alternative to over-the-counter and prescription drug use for knee osteoarthritis. The Agilium Freestep is the pain reliever you can wear. There are several things you can do yourself to combat osteoarthritis. Weight loss: Your knees bear 4x your body weight; shedding even just a couple pounds can have a significant impact on your knees. Exercise: Simple exercises to strengthen your thigh muscles can help reduces further deterioration of your knee joints and relieve pain. Use of orthotic devices: Braces and supports are applied externally to the knee joint. Ottobock offers several braces and supports to off-load the knee joint and shift weight from the damaged area of cartilage to an unaffected area of healthy cartilage. Learn more about the orthotic devices offered by Ottobock. 1. A proper warm-up prepares the body for exercise and prevents possible injuries. 2. Walk on the spot for 30 seconds. Pause briefly and repeat. 1. 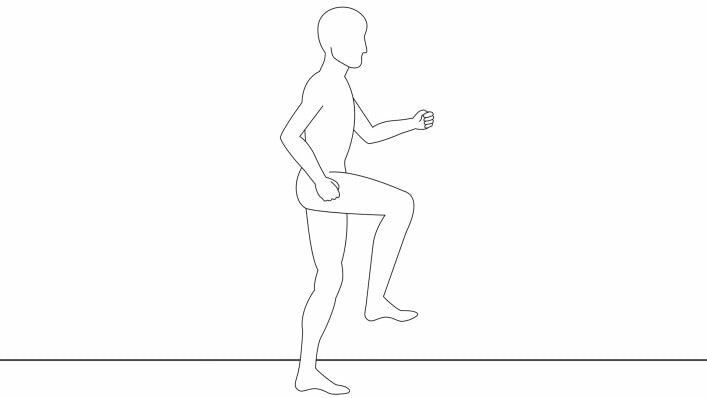 Stand with your feet hip-width apart. 2. Lift your arms in front of you to shoulder height. 3. Now bend your knees slightly. Make sure you don't push your knees too far forward; instead, focus on pushing your buttocks backwards. Your back should stay straight throughout the exercise. Finally, extend your legs and stand up. 1. 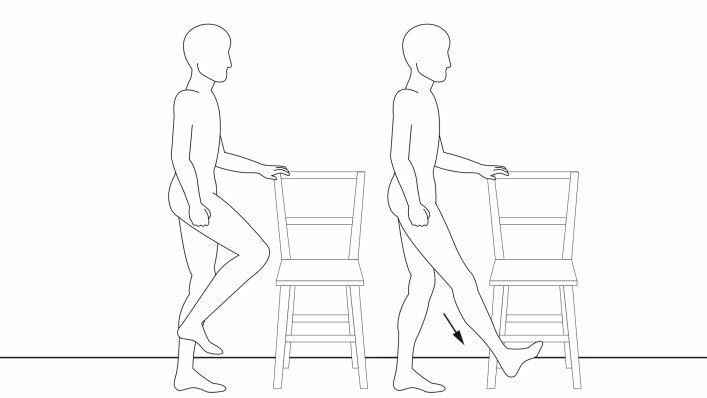 Stand upright and hold onto a wall or a chair with one hand for balance. 2. Lift one leg from the floor and bend it slightly. 3. Now extend the leg. 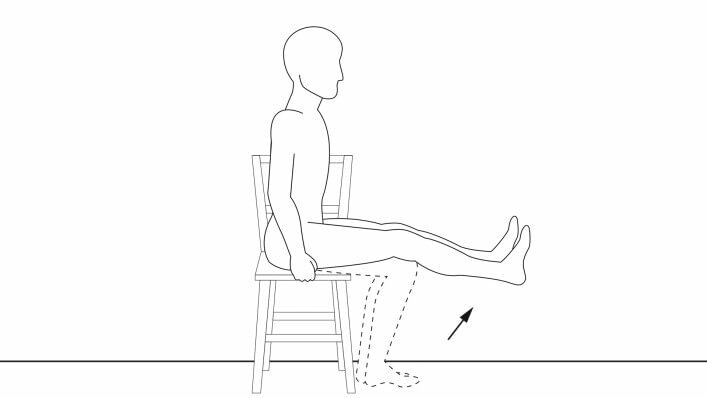 While doing so, flex the foot by pulling the toes towards yourself. 4. Repeat 10 times per leg. 1. Sit down on a chair or stool. 2. Extend one leg forwards by sliding your heel along the floor. Do not overextend the knee. The other leg should remain bent, with the foot flat on the floor. 3. Repeat this exercise for about 60 seconds per leg.